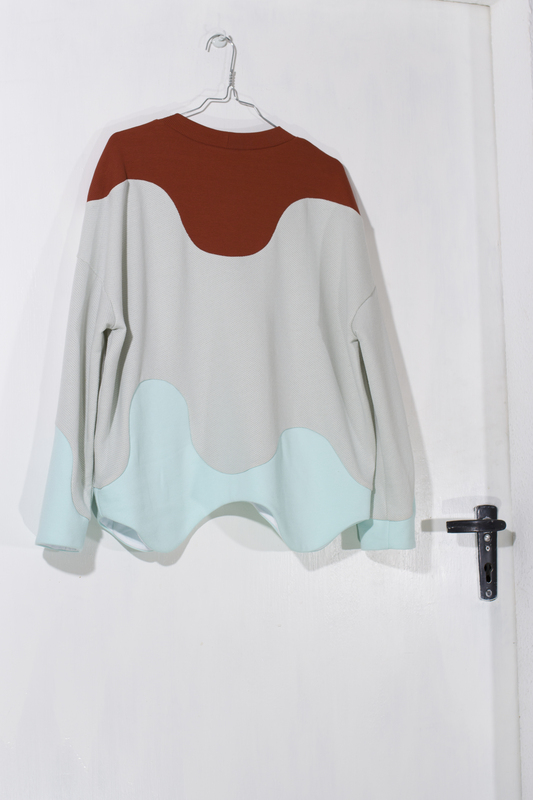 Sweater in a boxy unisex shape with flames on the body and sleeves. Soft knit fabric in a combination of light blue and sand in 100% cotton, henna ribbing in 95% cotton, 5% elastane and turquoise sweat lined with white jersey, both 100% cotton, all from Lebenskleidung. All fabrics are GOTS certified organic cotton. The thread is mainly natural lyocell with some polyester used (henna). 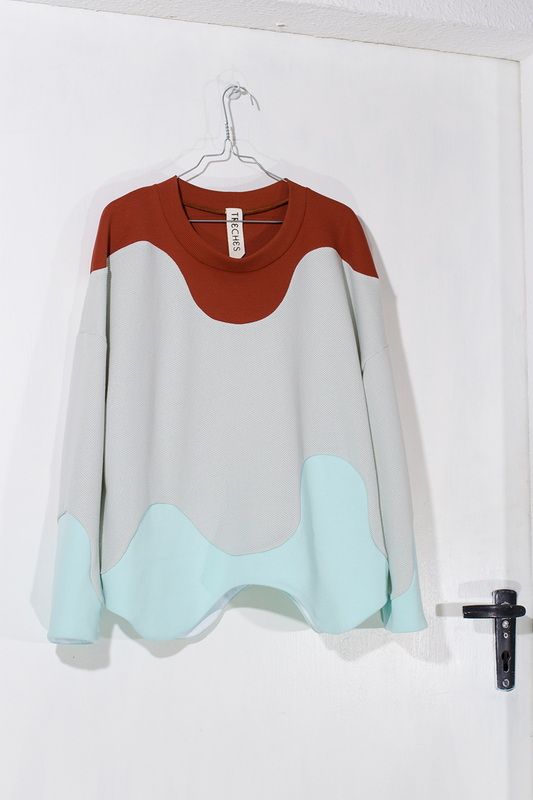 Oversize sweater with drop shoulders and three different fabrics. Wave-shaped hem.